Day two, and I’m quickly clocking up some serious miles. The landscape is pretty much the same so far, wide stretches of arable land, a few small wooded areas, lakes, rivers, sea and lots of windmills. I’m impressed by the amount of arable land that I’ve seen, the only other crop of note is the odd pocket of maize, grazing land is kept to a minimum. With so much cereal, there’s no wonder the Danish produce so many pigs! First stop was Krogagergard, an Organic Farm close to Ringsted in central Zealand. I’d chosen to visit them for a few reasons… we’re not Organic Farmers ourselves, I would love to be. We try our hardest to make the best quality produce available, but we also want to be reasonably priced. We’re competitive on supermarket prices on our fresh meat, sausage and bacons and I’m often told that we’re too cheap. Were we to make the leap to Organic we’d have to pass that cost of production onto the customer, which would ultimately narrow our market. 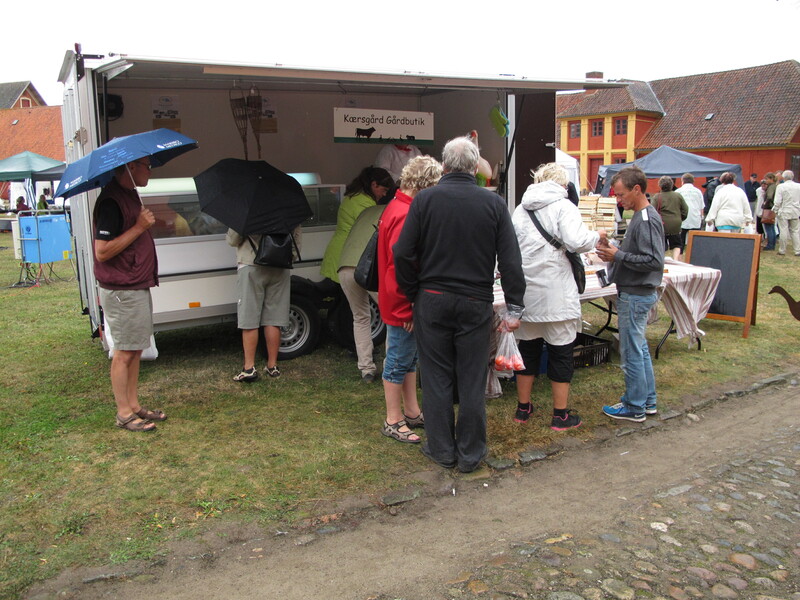 While researching for this trip, it was quite obvious that Danish pork producers fell into two categories – intensive or niche, and that niche often meant that producers are both extensive and organic. In the UK, it’s a far more complicated mix of production methods but what was apparent from my conversations today, is that the Danish are far more in touch with their methods of production. Ask most small pig farmers or smallholders what they feed their animals and they’d probably answer that it was bought from a mill or feed merchant ready mixed. They might know the percentage of protein but that’s probably it. Most sources of protein in animal feeds in the UK today derives from genetically modified soya from North and South America. The majority of pork on our supermarket shelves, on our butchers counters and in our farmers markets has been fed GM soya. 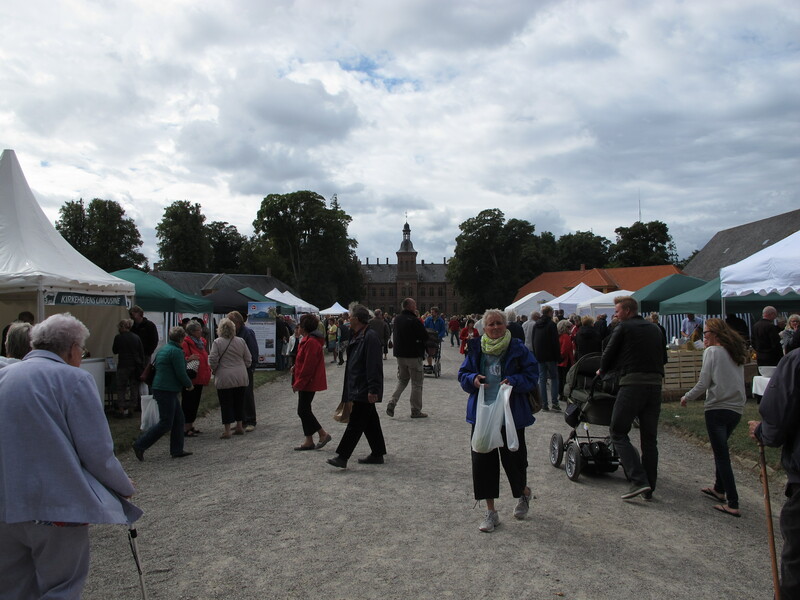 Not so the Farmers Markets in Denmark. 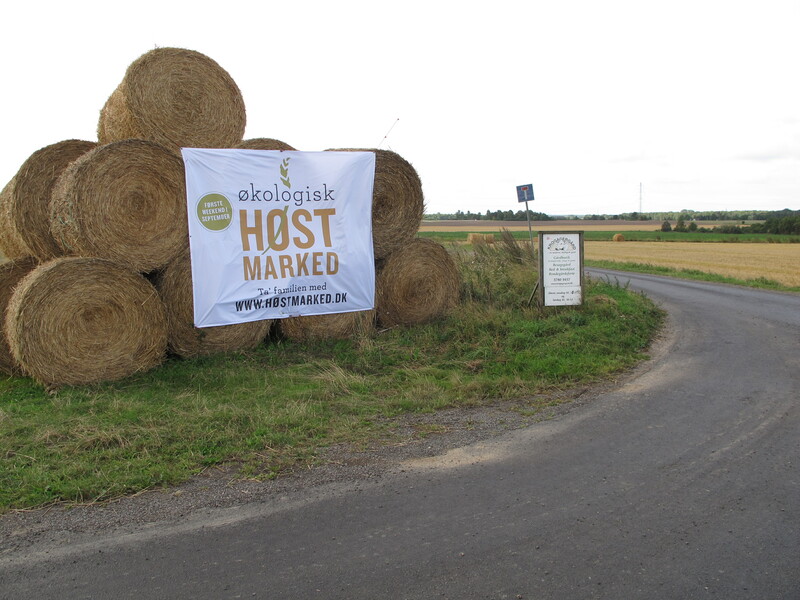 There was a reason why I was visiting Krogagergard today, the first weekend in September is the ‘Organic Harvest Market‘. It’s an annual event where organic farms throw their doors gates open and welcome in visitors to see their farms. I parked up in a freshly cut barley field, and wandered into the farm courtyard, hand drawn signs noted the times of the hourly ‘Tractor Visits’, talks that were taking place and events that were happening through the day. An ad hoc playground from barley straw bales had been built nearby for the kids and local food producers were busy setting up their stalls for the day. 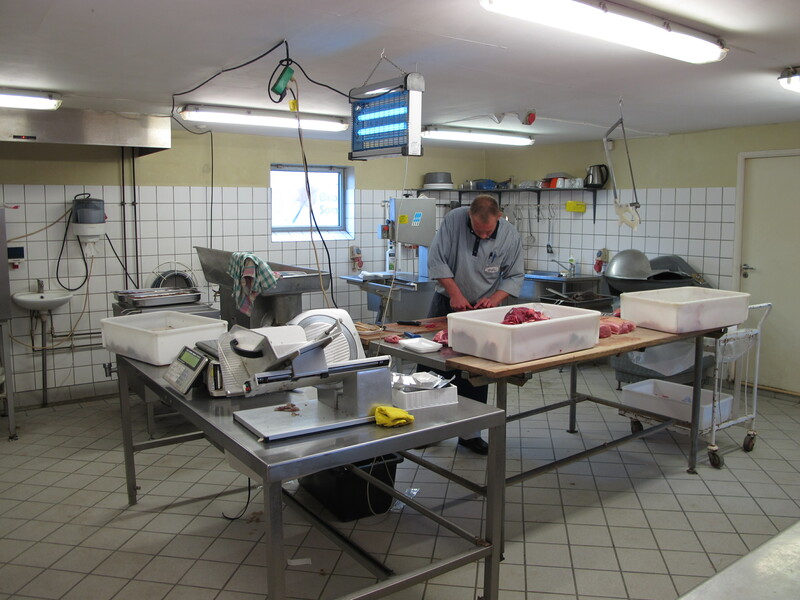 I headed to see Kirsten one of the owners at the on-farm shop and butchery first before taking a wider farm tour. It was an extensive shop, with a range of organic produce, with dry goods, frozen meat and vegetables from the farm. The processing unit sat directly behind the retail counter, and was a similar size to Mineslund with a piston stuffer, bowl chopper, mincers, vacuum packer and small smokehouse. The choice of produce was similar to what I’d seen yesterday, it was extensive once more, and I was truly impressed with the work that had gone into all the products. I had a taste of their salami, and a rolled cured and cooked belly (which was the standout product for me). Everything I’ve seen so far has been dearer than UK prices, but I hadn’t realised that everything in Denmark was liable to VAT of 25%. With that taken into account, the +VAT price is pretty close to the UK norm, cheaper if anything considering it’s Organic produce. The whole farm was open for you to wander, I don’t think this would ever happen in the UK. 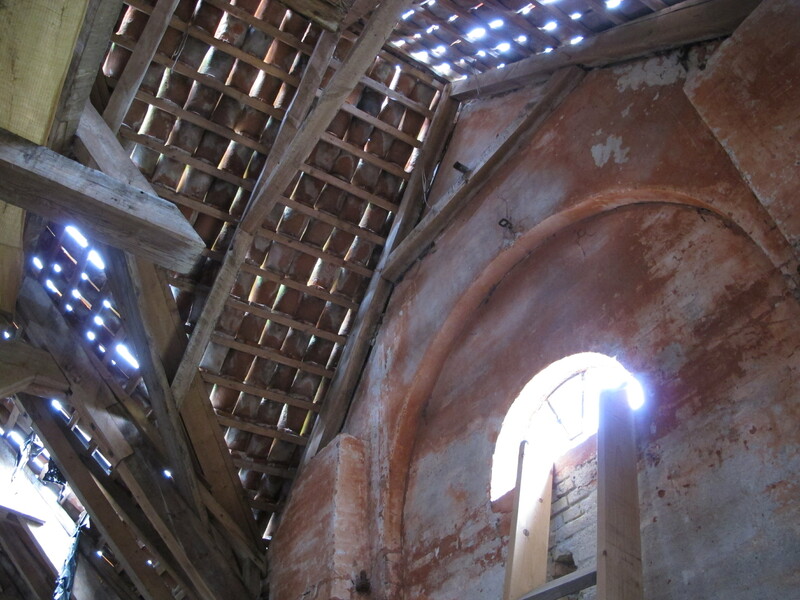 One shed was filled with machinery, tools, grain mills and assorted bits of equipment. I was in absolute heaven, but it was a ‘health and safety nightmare’. That said, it was obvious that things had been tidied, brushed down and made presentable for the day, but there was no doubt that this was a working farm. This wasn’t a smallholding, or a hobby farm for a pair of Good Lifers, this place saw a lot of hard work. 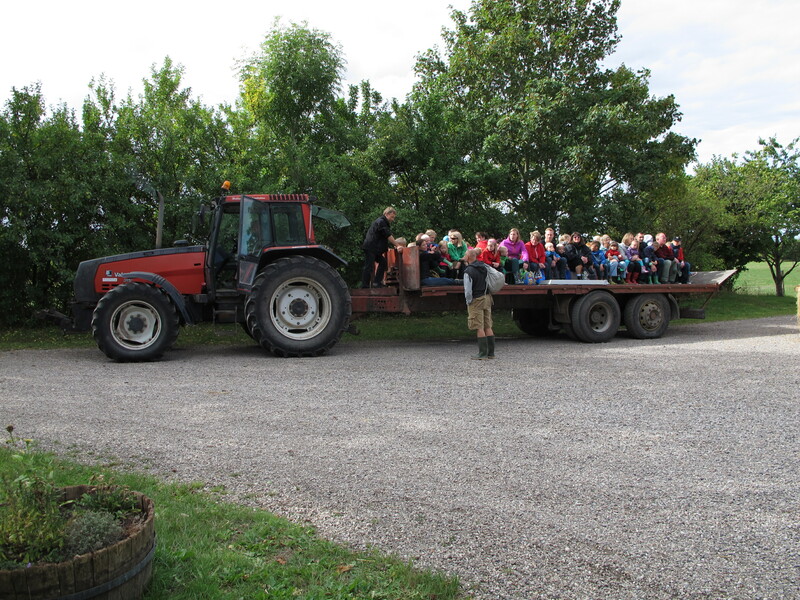 As the tractor tour was full (the google translation from their website reads ‘pulled torture’) and I didn’t want to deny one of the kids a ride, so a group of us stragglers wandered after the tractor to the outlying areas of the farm. I finally saw my first pigs of the trip! Yay! 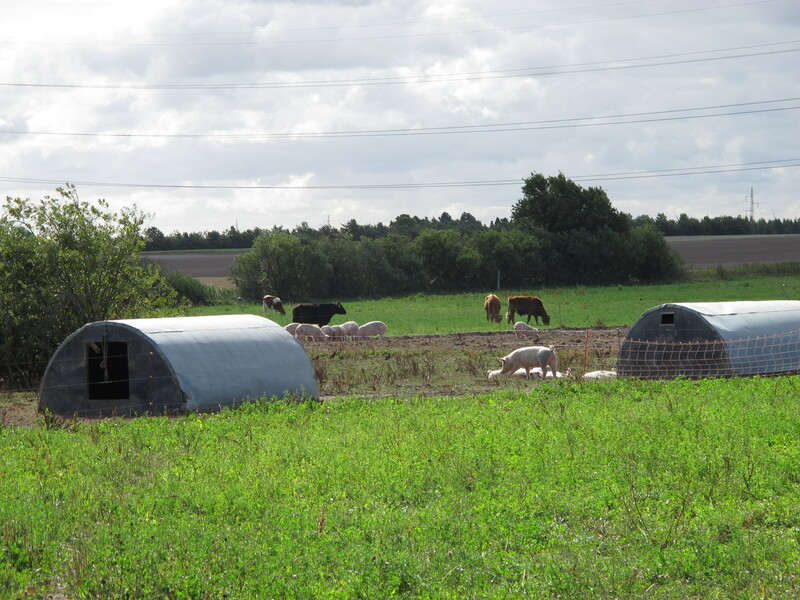 Their pigs are kept outdoors throughout the year unless the weather is atrocious and are fed a mixed ration of cereals grown on the farm with peas as their protein source. Breed doesn’t seem that important, as there was diversity of genes in the pigs. They were Danish Landrace but either they’d been crossed sometime in the past or had a modern cross as their ears weren’t to breed standard. 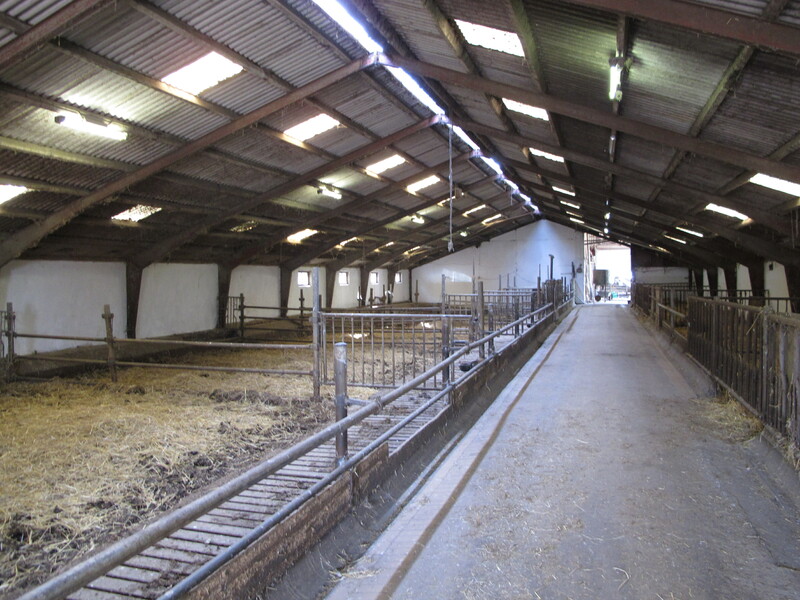 Cattle are kept both indoors and outdoors, though their pens were empty today for the visit. After a full morning of wandering, chatting and nosing in all the sheds I made a move south. I had plenty of time to ponder what I’d seen that morning. Another meat business set in the midst of nowhere that was seemingly doing very well. It crossed my mind for a brief minute, should we have a farm shop of our own? My afternoon was spent at Culinary Rosenfeldt a food festival being held in the grand setting of the grounds of the Rosenfeldt Estate. 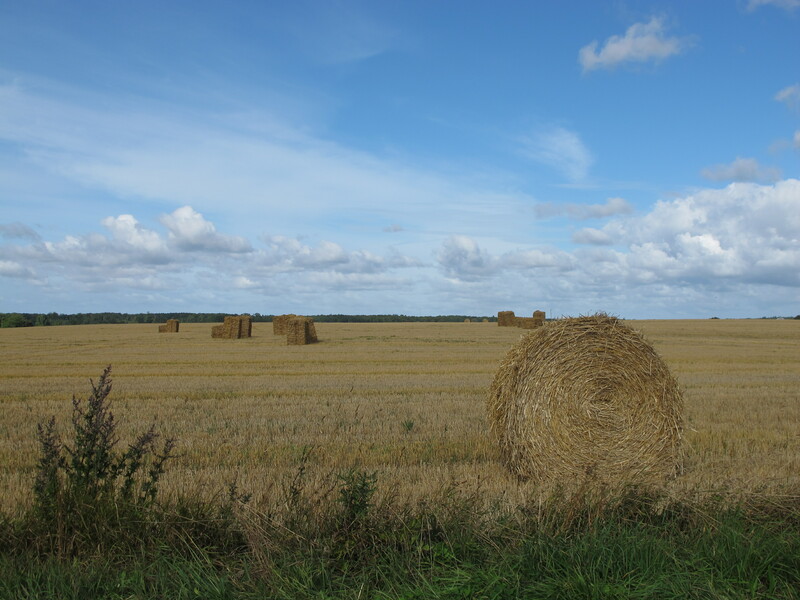 It was by accident that I ended up here – I’d contacted Jette of Kaersgaard and was hoping to visit their farm. However, my timing didn’t work so she suggested that I visit them at the festival. In the end it worked out extremely well as I managed to meet some other producers I’d been emailing too. Before I tracked down Jette and her partner Lars, the first thing I spotted was a deer carcass hanging. The pic above was taken towards the end of the day, I couldn’t get near at the beginning, such was the interest. Avert your eyes if you’re a little squeamish, there’s more gore to come. Other than the hot dog stand the longest queue of the day was for the free tasters of haunch that were cooking on the open fire (utterly delicious though a little tough). 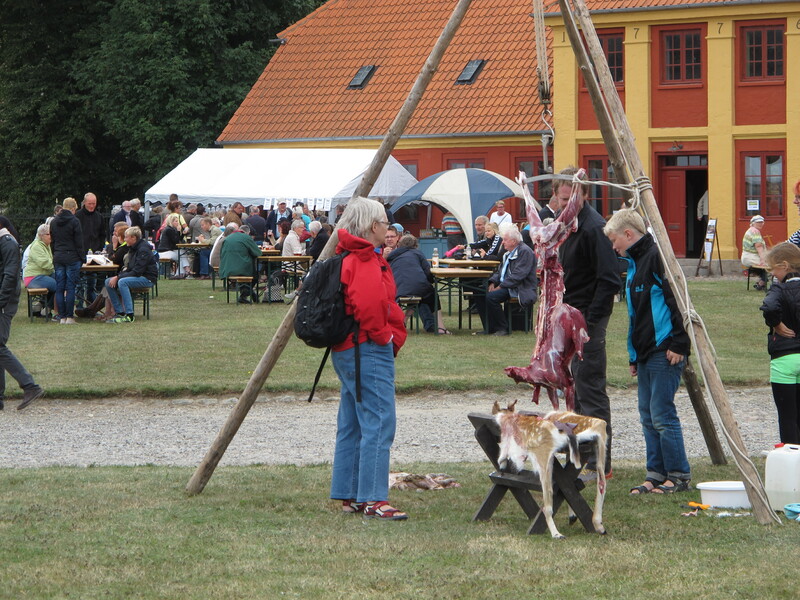 The stand and demo was being organised by Danmarks Jaegerforbund (The Danish Hunters Assocciation). I’d missed the cull, but the hunter from the organisation was doing an excellent job of cutting the loins when I arrived. As I ventured back to the stand through the afternoon, there was less and less to be seen, and there were just a few bones hanging towards the end. I’m not a big fan of guns, they scare me (as do chainsaws), I was always much more in favour of hunting with my grandfather with wire traps, but I’m sure even they are outlawed nowadays. We have ‘Game Fairs’ in the UK, but hunting isn’t seen as a mainstream pastime with us. For my grandfather and my great uncles, hunting was a way of putting food on the table. If I look at old family diarys, amongst the notes on the weather, the state of the harvest and market prices are notes referring to their tallies at hunting. Too much? Well, the throngs of people at the festival didn’t think so. I’m pretty sure few (if any) vegans and vegetarians read this blog, but I do think it’s utterly important for people to know where their food comes from. And so, to Kaersgard, I had an incredible welcome by Jette and Lars on their stall. I know how distracting it can be when someone wants to talk to you on a stall while you’re trying to market and sell your products. Luckily for me, there was an almighty downpour which moved most people into one of the ancient barns (built 1777) while the clouds passed. They run a mixed farm – cattle, pigs, goats and poultry. I tried some of their delicious duck rillette, I wished I had known that my room for the night had a kitchenette as I would have bought some duck confit to bring with me too for supper. 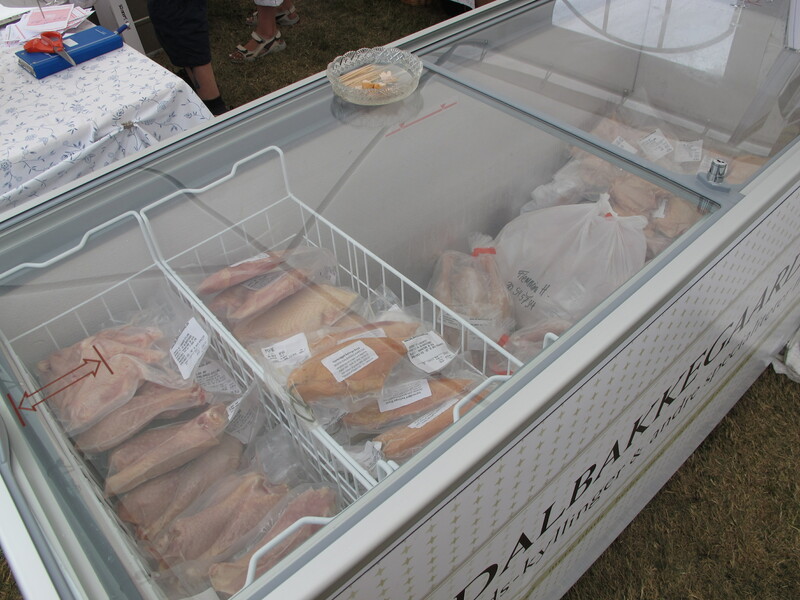 Like all the other meat producers that I spoke with at the festival they didn’t produce their own products – they reared the animals but the production was done by the slaughterhouse or by a local butcher. It’s much the same in the UK, most producers at markets and festivals make a small portion of their products and have the majority done for them by others. We’re slightly different in that we have our feet set firmly in both camps. We rear our own, buy meat from trusted suppliers and produce all our products that we sell (we also make sausages and cure bacons and hams for smallholders who have their own pigs). The beauty of being a punter at a food market is watching how others sell their products – not necessarily the sales technique but how products are displayed. One big difference from the UK was the predominance of frozen product, I bought a frozen smoked chicken breast from Dalbakkegaard (no photo, as it’s in my belly), as were the products from Kirkenhojens Limousine who served me up an outstanding emulsified beef sausage. Although frozen, products were simply packaged, cleanly labelled and easy to see in display freezer and it didn’t seem to be a problem for customers. We sell our gluten and preservative free sausages frozen and it’s never really been an issue, it’s the marketing of them that’s always been a problem as they melt as soon as we put them out on display. We recently bought ourselves a new display fridge after our small table-top fridge died. It’s much cleaner and more well presented than what we had before, but it’s a bugger to move about. 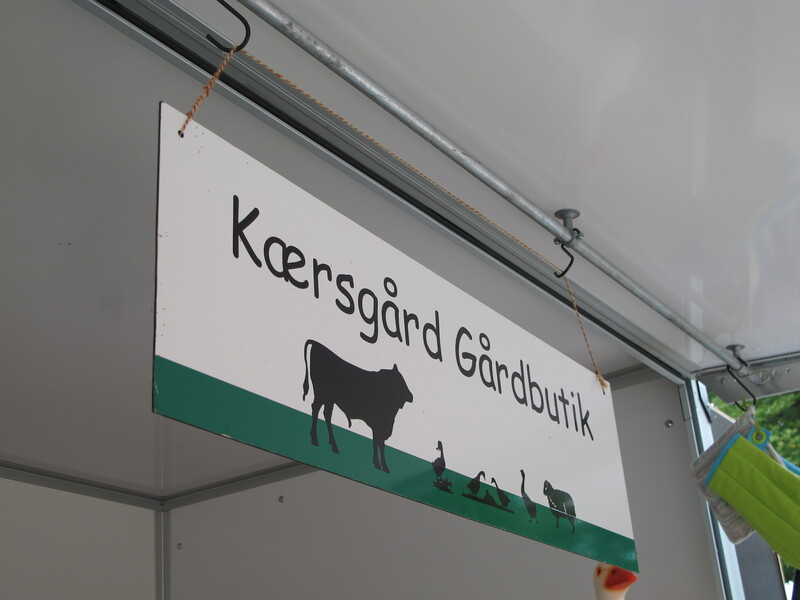 I loved the trailer that Kaersgard had – it was like a burger van but without sides – they even had additional freezer storage, handwash facilites and cooking space. A completely self contained unit. I’d love to have something like that, but markets and events discourage the use of trailers, or they cost a huge amount more for a pitch. I missed out on the hot dogs, by the time I got to queue they’d sold out. 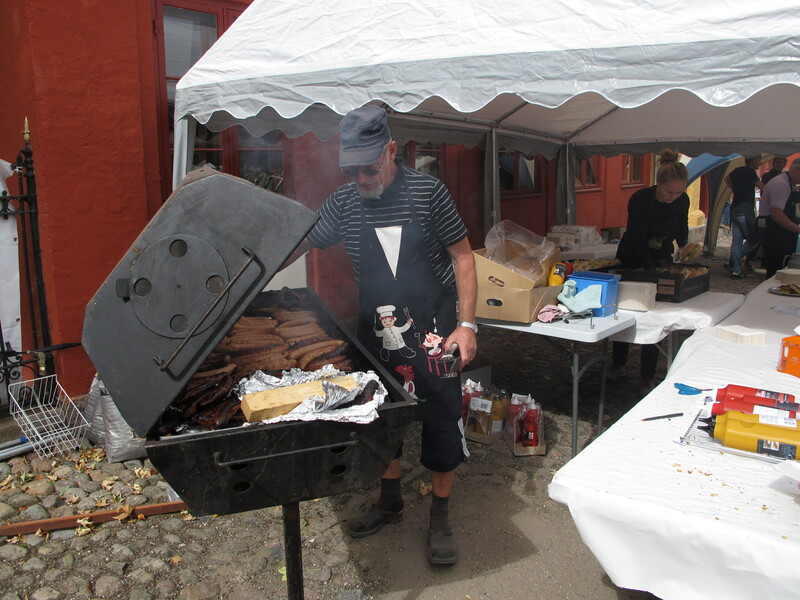 A real pity, as the ‘pit master’ for the day was a right character. Second choice was a salami sandwich topped with a spicy mustard coleslaw. 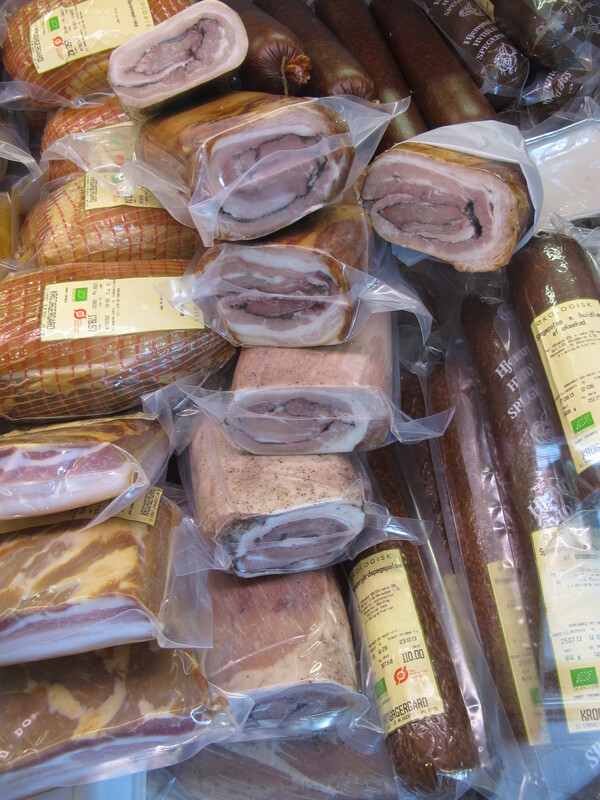 Like any market that I’m at trading, I spent a fair amount of cash at the festival – apples, pears, sweets, coffee, juice, smoked chicken and I have to mention an awesome smoked lamb chorizo I bought from Thorlin. I’m not generally a big fan of air dried lamb due to the rancidity of the fats, but this hit the spot. It was also in a natural casing, only the second product that I’d seen, the other being a beer stick by another producer at the festival. 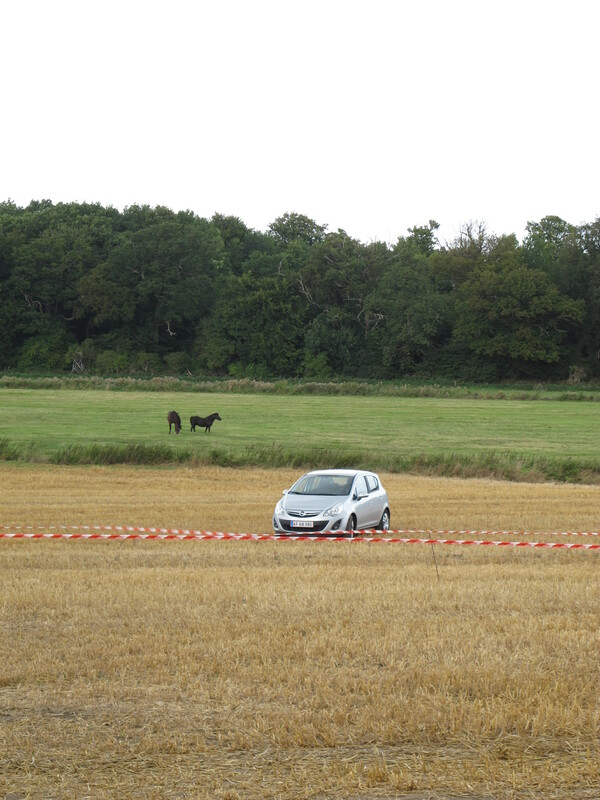 When I finally made it back to the hire car, I was parked in a near empty field. I know I can talk, but I’d outdone myself today. Not yet, but perhaps in a few years time! In Denmark you may slaugther at home but only for private use. If you want to sell, you have to use an authorized slaugtherhouse with vet.control. Hi Brita, it’s the same in the UK. It’s just that we don’t have the predominance of wild animals (deer for instance) so it’s a bit of a culture shock (but a very good one! ).